Summer is on it’s way + a popular trend is the Pineapple! 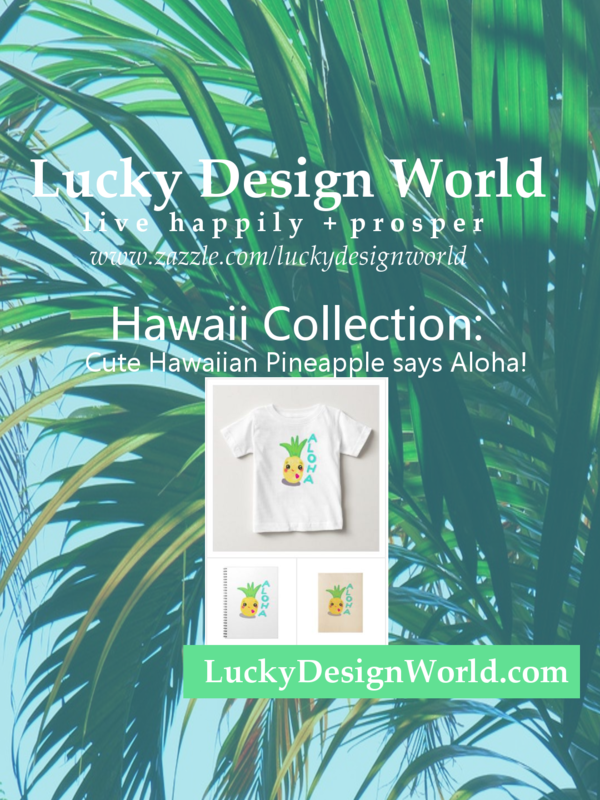 Luckily, Lucky Design World has some superchic pineapple designs for you and your summer! Pineapples have a beautiful symbolism – they are known to represent “friendship, hospitality, welcoming + luxury”. 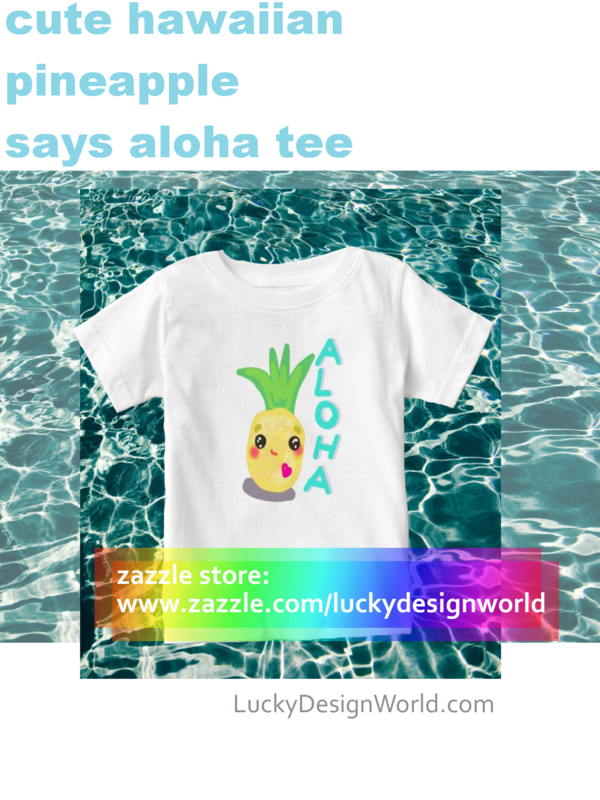 An adorable little pineapple cartoon with a little heart and a neon “aloha” saying. Aloha means in the Hawaiian language “hello” and “goodbye”, but it also is a loving expression of peaceful joyful sharing of the present moment. 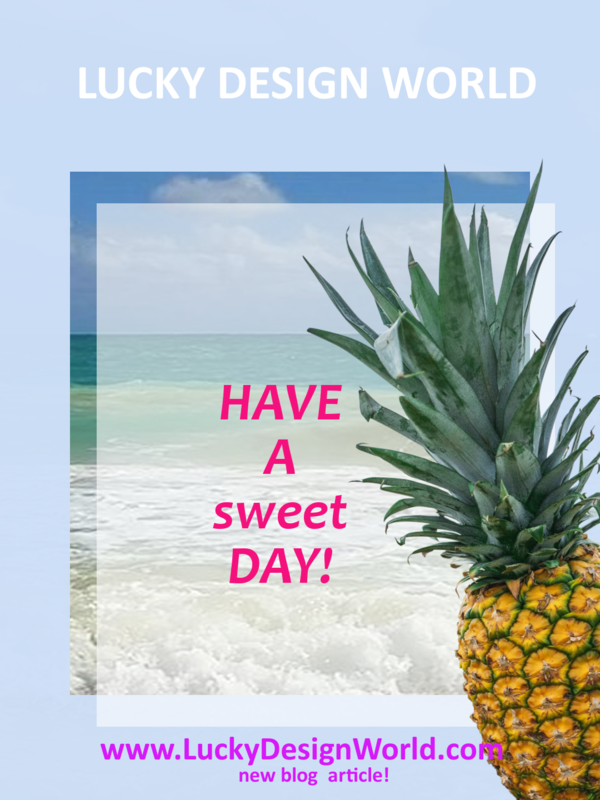 A pineapple is an expression of hospitality and that is a symbol of warmth and friendliness. This design is perfect for a gift, as a souvenir, or just to wear everyday and have these lucky symbols brighten your day. Are there more options available of this design? Sunny and warm days are almost here & this design for apparel is whimsical, optimistic and colorful. Great for the beach , the pool & everyday – no matter what season! Previous PostPrevious Featured on Zazzle’s Homepage: Top Pick for Trucker’s Hat!